Welcome to Carroll Creek Dental! We are dedicated to providing our patients the very best dental care using the latest advances in dentistry and technology as well as personal care from a dentist with unparalleled skill. Whether you need dental implants, Invisalign braces or other cosmetic dentistry procedures, we offer excellent dental service. 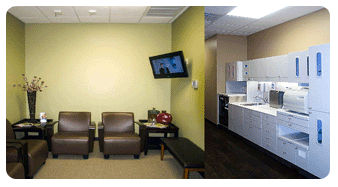 Our dental center has been designed to provide a relaxing and comfortable experience for the entire family. In addition to state-of-the-art dental equipment and technology, we have amenities such as flat screen televisions, guest Wi-Fi access, on-line patient information forms, our very own Carroll Creek Dental App for your smart phone, comfortable chairs and caring dentists and dental staff to attend to the needs of our patients.